Polished red-gray checkered tile floor warms up the room and anchors the whole space. Coral patterned wallpaper is the extension of the checkered floor in an elegant and subtle way. 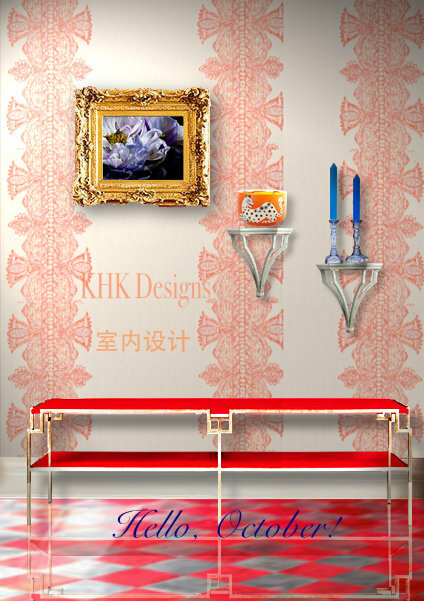 The brass bench in the red velvet fabric is inviting and adds sense of luxury to the space.